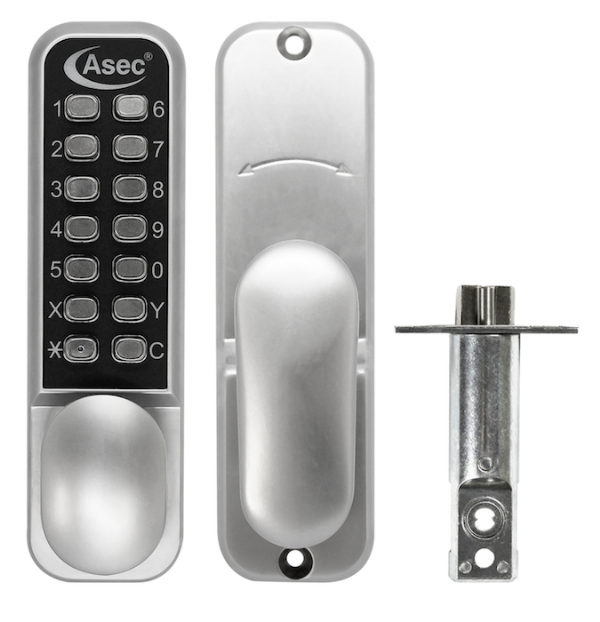 ASEC AS3300 Series Easy Code Change Digital Lock With Optional Holdback. New from Asec, this Digital Lock from the AS3300 series features the quick and easy code change function, allowing users to change the code without removing the unit from the door. It also features an optional holdback snib. This digital lock is suitable for light-duty applications on either right or left handed internal or external timber doors and is supplied with a 60mm anti thrust latch which helps to protect against tampering.